Most people assume I’m crazy. How can anyone in their right mind live in Honduras? This the most dangerous country on earth! The murder capital of the world! Only a lunatic would live in Honduras! I hate to break this paradigm, but I live in Honduras and trust me, I live in paradise! After 15 years owning and editing Honduras Tips, a destination guide to Honduras, I came to know the country better than most Hondurans. 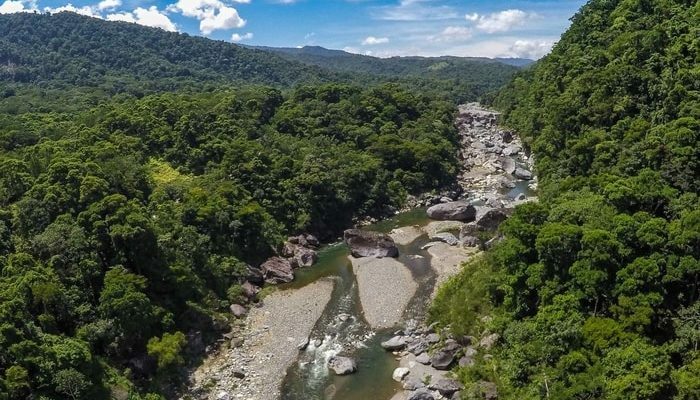 I bought a piece of property 10 km south of La Ceiba, up in the Nombre de Dios Mountains. Far enough from town to not deal with the hassle and problems of living in a city. And close enough for easy access to everything I need, including a school for my kids, and decent medical facilities. We call the area the Cangrejal River Valley. To be honest, more than a valley, it’s a beautiful green canyon. Steep, jungle-clad mountains rise on either side of the Cangrejal River. 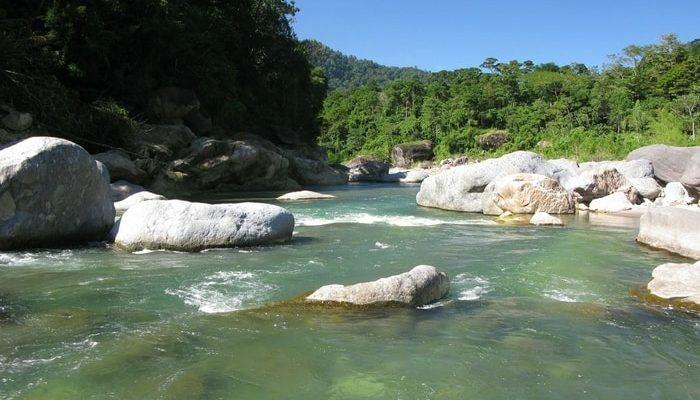 The river has crystal clear waters that rush towards the nearby Caribbean Sea. On its way to the sea, the river battles home-size boulders, forming class II, III and IV rapids. They provide an ideal setting for whitewater rafting and kayaking. I started by planning my home, and being from Mexico, I wanted a large house with an interior courtyard. The courtyard has a nice fountain and a covered hallway. The outside of our home has wraparound hallways, open towards the gardens. This means our house is open. No walls, fences, or windows to close ourselves out from the rest of the world. As I designed the house, I ended up with too many rooms around the courtyard. That’s when the bed-and-breakfast idea came about. Today our home has six finished rooms with two more in process. This makes for a large home and a perfect-sized bed-and-breakfast. There’s so much to do within walking distance from our villa, you would need a full week to enjoy them all! As write this, I can look out over the river to the other side of the canyon. I’m looking at Pico Bonito National Park but I’m sitting in Nombre de Dios National Park. In the trees in front, I can see keel-billed toucans and collared aracari birds. Great bird watching from the comfort of my hammock! Every morning, I pinch myself to make sure I am not dreaming. I listen to birds chirping, hear the water rushing down the Cangrejal River, and welcome the sunlight into our home. I relax in a hammock and catch up with the news in our crazy world. It all seems so far removed from our little piece of paradise. 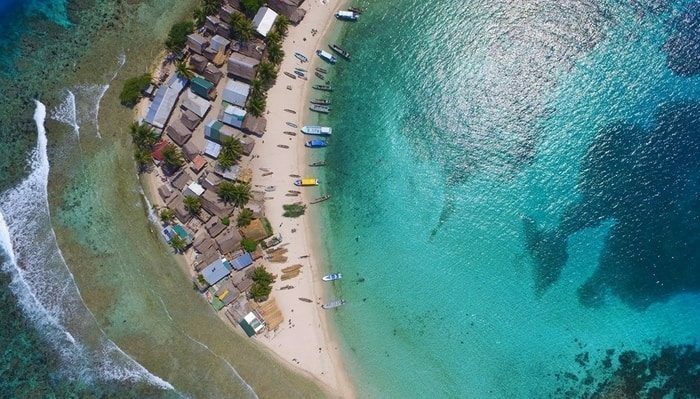 Within a three-kilometer stretch of road, there are seven different tourism-related businesses. This is nice because we work as a community. Some of these businesses belong to locals, some to expats. Besides me, there’s a Brit, a German couple, and a Canadian lady. We all own and run small lodges, each with its own personality. This means if we have an emergency, we all lean on each other to help each other out. There is a small community called El Naranjo nearby. It’s convenient because it means we have access to people needing a job. Many young members of the community are now tourist guides. Some have river-rafting guide licenses, meaning they can work with any of the four rafting companies in the area. The community understands that tourists bring jobs. Jobs put food on the table. So they take care of the tourists. 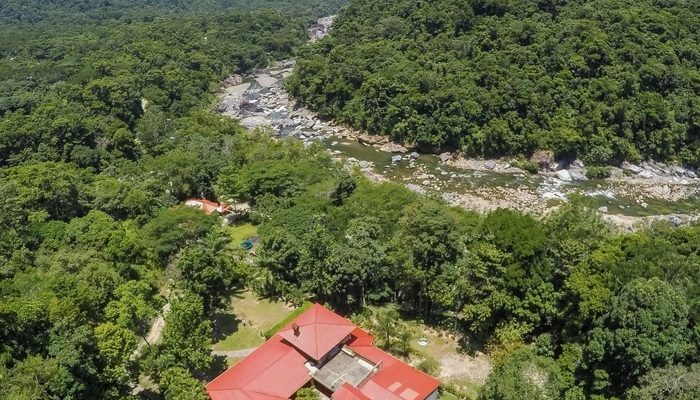 The Omega Tours Jungle Lodge is a short 20-minute walk from us. Their bar is a great place to meet people and unwind. I love to drink one or two glasses of wine and chat with our neighbors. 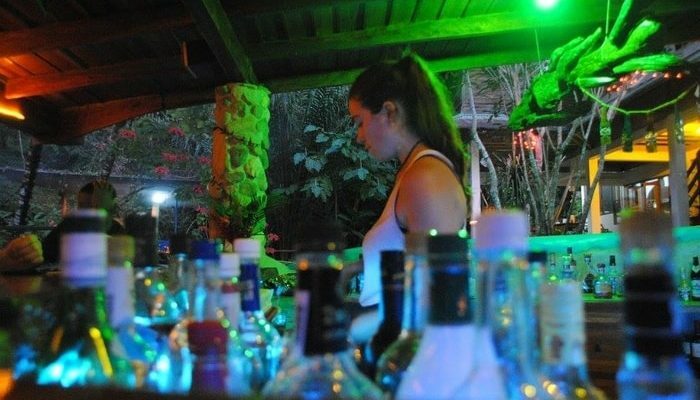 We call Omega Lodge our very own neighborhood bar in the jungle! I love to head down to the river to take a swim. The water is cool, but not cold. My dogs love to play in the river. My favorite activity is to paddle down the river in my inflatable kayak. 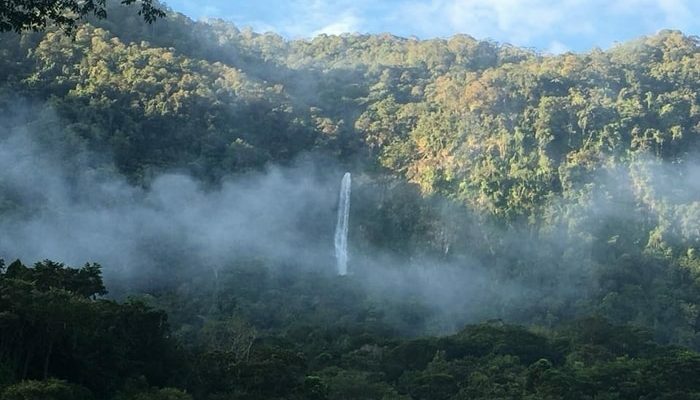 Hiking to the waterfalls in the jungle is another favorite activity. Sometimes I play tour guide and take guests to the Cuero y Salado Wildlife Refuge or to the Cayos Cochinos Marine Monument. These two places are popular spots for tourists in La Ceiba. Although we live in a national park, we have the basic needs for a comfortable life. High-speed internet is available. We have electricity and good cell phone service. The road into town is an all-weather dirt road, but it gets pretty run down during the rainy season. This means we get a lot of wear and tear on the cars. But things aren’t always easy in the Cangrejal River Valley. Power is not very dependable. The same with the internet. But heck, paradise doesn’t mean perfect! We have lived here for over eight years and have had nothing stolen from our house. Our biggest security issue is we need to lock our fruit basket inside at night to keep away from animals. Our dogs have a tougher life. The neighborhood dogs will sneak in to steal their food from time to time. When asked if I would sell, I answer if the price is right, I would consider doing so. But then, I would have a hard time trying to figure out where to go from here. It’s a challenge to find a better place to live in than paradise! For now, I can’t think of a better place to live. John Dupuis is a travel entrepreneur who has been living in Honduras since 1992. He and his wife manage La Villa de Soledad in the Cangrejal River Valley, outside of La Ceiba. He also writes about travel in Honduras on his Hondurastravel.com site.